Too many men wear ill-fitting shirts. They make even a good looking guy look sloppy and not put together. Even expensive fabrics that are poorly fitted will cheapen the look you are going for. 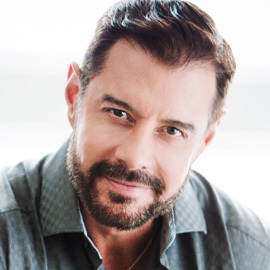 This Fashion Friday post is here to help you find a good-looking shirt. If I’m going to give someone the shirt off my back, I might as well do it in style. First you want your shirt fitted at the shoulders and back. This is usually down to the ‘yoke’ of the shirt, which is the piece of material at the upper back that dictates the fit and shape of the rest of the shirt. You want it to fit snug, but not to feel restrictive when leaning forward. Equally, your sleeves ought to cover most of your watch when you put your arms out in front of you. Remember that a slightly tapered shirt will usually be your best option, otherwise the fabric will balloon around your lower torso and give you extra “visual” pounds. 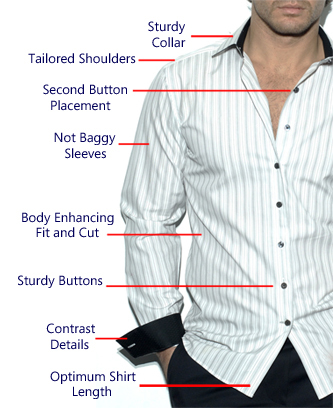 The length of a shirt is also a key consideration, as it will determine how the shirt can be worn. Generally if the shirt is longer, you will have to tuck it in. If you want to wear the shirt loose, you will want a shorter length. If you’re shaped like Taylor Lautner (and who isn’t? ), you will look good wearing the very fitted shirt. But if you’re carrying extra weight, before getting the fitted cut, make sure you don’t look like a sausage casing. This is a how a casual, un-tucked shirt needs to look. Since I featured Taylor, I must give Robert Pattinson props for rolling up his sleeves properly: right above the elbow. Notice you can roll up the sleeves even with a tie. There’s always a proper way to do just about everything, including your rolling up your sleeves. Who knew?! For my body shape, I find that Hugo Boss slim line works well for me as well as Tom Ford’s tailored line. Everything Tom Ford makes looks good on me. The main problem I have with his line is that I cannot afford to wear it. Oh, well. What designer/label looks best on you? Good one Maurilio, I liked this post! how the bottom of the cuff sticks up and out of the roll. To do this fold the sleeve up to the point you want to roll it up, then proceed to roll up from there. This effect is more pronounced if you have a shirt that has a different color/pattern under the cuff. Where else can you get this kind of advice? Thanks for the help Jason. I live in Texas where it is always hot and I work at a camp with a casual environment. I want to look sharp but ties and slacks don’t really fit well. I usually where flat front shorts, deck shoes and a polo but that’s getting old. 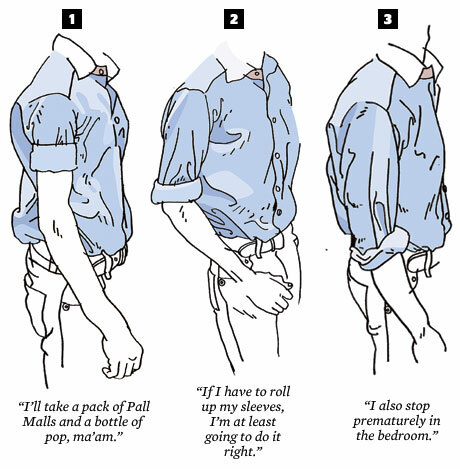 Do you have thought on how to look sharp in a casual environment? Instead of a polo you might try short sleeves plaid shirts or a simple v neck shirt. As far as shoes go, try Tom’s they can bridge the gap of casual and cool without being too casual like flip flops. This is a great post – have just linked it on our Finicky Shirts Facebook page (hope you don’t mind). Thanks! I have the challenge of being a big guy, so I have to go a little loose so as not to have the gaping button situation when sitting. But I also have the challenge of working in government, where the style is…lacking. My staff favors short sleeve oxfords, or as a friend of mine calls them, “career killers”.